Can we safeguard wild salmon for future generations? For Alaskans, "Upstream" is — or should be — a cautionary tale. In it, author Langdon Cook explores the West Coast world of wild salmon from Alaska's Copper River to California's Sacramento Valley and inland to Idaho's Redfish Lake. This entire region is — or once was — salmon country, in which humans and their cultures, for thousands of years, intersected with an iconic animal that held a key place in an interwoven system of life. As we well know, the great salmon runs of all the great rivers of our country's West Coast have been depleted and endangered — not because anyone wanted to destroy them, but because of carelessness, poor decisions regarding development, water use and the loss of habitat. A Seattle resident, Cook traveled throughout salmon country on a quest not just to understand the history and value of salmon but the present-day conflicts among those who fish for them, the impacts of fish farming and fish hatcheries, and efforts at conservation and restoration. He asks: How did this once-abundant source of food, identity and environmental health get to this point? And what can we do to safeguard (or return) it for future generations? The story of salmon loss has been oft-told — perhaps no better than in David Montgomery's "King of Fish: The Thousand-Year Run of Salmon" (2003). The beauty and delight of Cook's addition to our literature comes not only from its up-to-dateness and focus on the West Coast but through its storytelling style. The author, a keen sportfisherman, takes us with him on travels throughout the region, introducing us in each chapter to different river systems, types of fisheries, kitchens, restoration efforts and people engaged at every level with salmon. In the opening chapter, "Coming Out of the Woodwork on Copper River Day," Cook begins at Seattle's Pike Place Market, with the first-of-the-year Copper River salmon arriving to a frenzy. He captures the scene, with fish flying through the air, fillet knives flashing, and someone whipping out a calculator to tally a single king salmon worth $1,443.62. He then visits with a sales rep at a seafood company, detailing how the rep selects and delivers the perfect Copper River king for a preferred restaurant customer. Embedded in that first chapter is the takeaway that wild salmon are a big deal today — and that they've always been a big deal. Long before all the mystique and marketing associated with the first fresh wild salmon of the year flown from Alaska to rich, status-seeking consumers throughout the country, salmon were a big deal to everyone in salmon country, for food and so much more. Along the way Cook introduces us to a cast of individuals engaged in protecting, honoring and sustaining wild salmon. He adroitly feeds in the necessary and nuanced background information about salmon life history; Native American fishing and the court decisions that have supported it; hatchery programs and their controversies; and the consequences of logging, dam building, and urbanization. The author gives significant emphasis to restoration efforts, sometimes now called "reconciliation" in recognition that there's no going back. Nature is always dynamic, for one thing, and humans have altered so much that the best we can do now is to adjust and adapt. A prime example of this is the flooding of rice fields, which provides food-rich habitat for young salmon. Cook also makes strong points about the costs of restorations and enhancements such as hatchery programs. For example, more than $15 billion has been spent since 1978 on trying to save Columbia Basin salmon, and yet not a single run there has been removed from the endangered species list. The cost of removing two dams on the Elwha River was $325 million, nearly three times what had been budgeted. It should not be lost on Alaskans that preserving and maintaining salmon habitat costs much less and certainly is preferable to trying to restore or recreate habitat that's been damaged or destroyed. "The ledger is continually being rebalanced," Cook says in his final chapter. There are plans to remove more dams, and salmon are returning to more rivers. On the other hand, Oregon has increased timber harvests in once-protected areas and, "up in Alaska, the widely condemned Pebble Mine" is still a threat to Bristol Bay salmon. 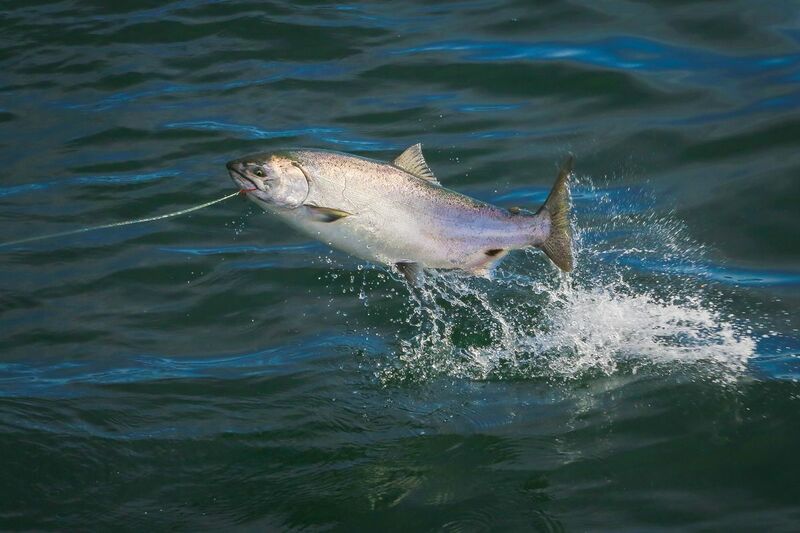 Fresh concerns surround the effect of hatchery pink salmon on food supplies for natural runs of other salmon species. "Most of all, the specter of climate change looms," Cook concludes. How will salmon react to higher ocean and stream temperatures, increased droughts and flooding, and changes in snow packs? What can humans do to help? In the end, Cook has given us a very strong argument for valuing and protecting wild salmon. What's good for salmon, it turns out, is also good for people — for our own habitats and our human society. Nancy Lord is a Homer-based writer and former Alaska writer laureate. Her books include "Fishcamp," "Beluga Days," and "Early Warming." Her new novel, "pH," is due in September.